Jordanian retailer, Jordanian Duty Free Shops (JDF) signed a deal with iVend Retail by CitiXsys, a recognized market leader in retail technology solutions and SAP Business One, enterprise resource planning software designed for small and medium-sized enterprises, to manage its many shops easily across all of its business operations. The software deal was lead by iVend Retail channel partner and SAP gold partner, ProCons, the leader in on premise and on cloud solutions for small to medium sized businesses in the Middle East with over 400 customers. ProCons will managed the implementation of the combined retail solutions for JDF. 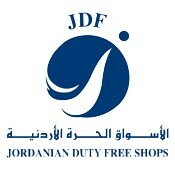 Founded in 1997 with the opening of the first shop in Jordan’s capital of Amman, JDF has evolved from a locally focused outlet into one of Jordan’s top public shareholding companies, with sixteen duty free shops in Jordan today. Jordanian retailer specializing in high-end duty free shops selects iVend Retail with SAP for its 16 brick-and-mortar stores. 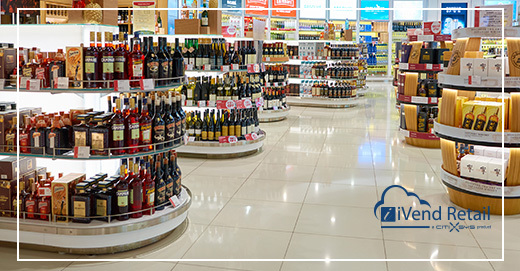 JDF shops are strategically located at Jordan’s land and sea borders, to serve both arriving and departing travelers; focused on meeting customers’ retail shopping needs. With a perfect balance of inviting deals, remarkable product offerings and quality service JDF is determined to set a new benchmark of performance and views its in-store technology as central to its strategy of providing customers with a customized shopping experience in a relaxed, family-oriented, satisfying shopping environment. As JDF designed a custom retail experience for the high-footfall and state-of-the-art store concepts, they needed a point of sale (POS) with the same level of innovation and flexibility. In addition to iVend Retail for their POS needs, inventory management, and reporting, JDF chose SAP Business One for their ERP. With iVend Retail integrated with SAP Business One, JDF will benefit from an integrated suite of omnichannel applications designed to harmonize retail operations across sales channels and build customer loyalty through delivery of consistent shopping experiences. Further, they’ll be able to gain real-time customer, sales, inventory and performance insights for better business management. 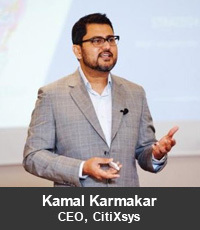 CEO of CitiXsys, Kamal Karmakar is widely respected as an innovator and expert strategist within the retail sector. Under his guidance, CitiXsys has established itself as a market leader in retail technology with a reputation for delivering integrated retail management solutions (iVend Retail) for the way retailers work today.